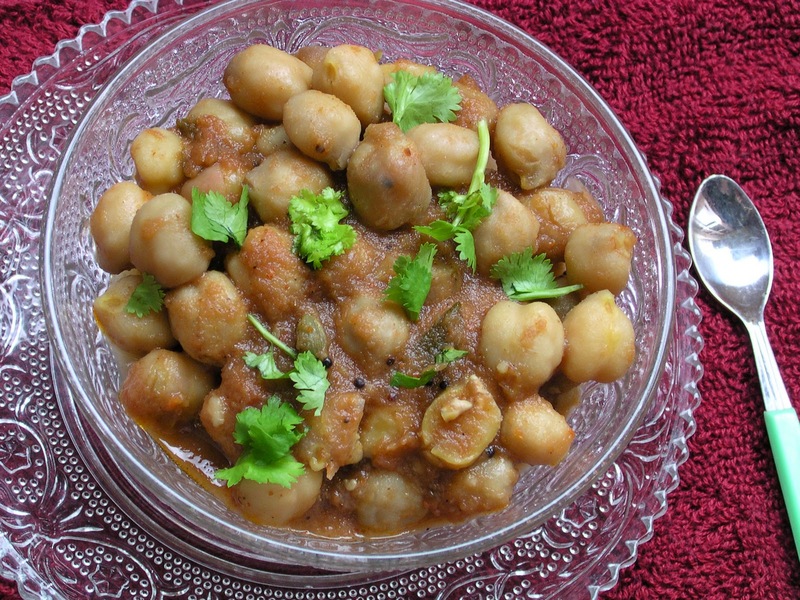 Chole(pronounced as cho-lay) or Chana masala is a popular Punjabi(north-Indian) preparation. Its a side-dish with chickpeas in sour sauce. Usually eaten with batura, or roti. But I can have it as a healthy brunch. Soak chickpeas overnight. Add water, tumeric and whole spices and pressure cook till soft. Roughly chop onion and tomatoes and puree. Soak the tamarind in warm water and extract the paste. In a pan heat oil and crackle mustard seeds. Add chopped green chilli. Add the tomato-onion puree and ginger-garlic paste, and cook. Add the tamarind paste, the boiled chickpeas, salt, garam masala and stir well. When it simmers, take off the heat. Add freshly chopped coriander and serve with baturas or rotis. Shirley, what a simple ovely dish. Thanks alot. Hope you're enjoying your day. This is light and nutritious, Shirley! I also want this for brunch! My roommate's mom makes her a dish just like this that I love! I've been thinking about recreating it...thanks for the recipe! That looks very delicious. Thanks for passing the recipe along. Looking forward to making it for the family. 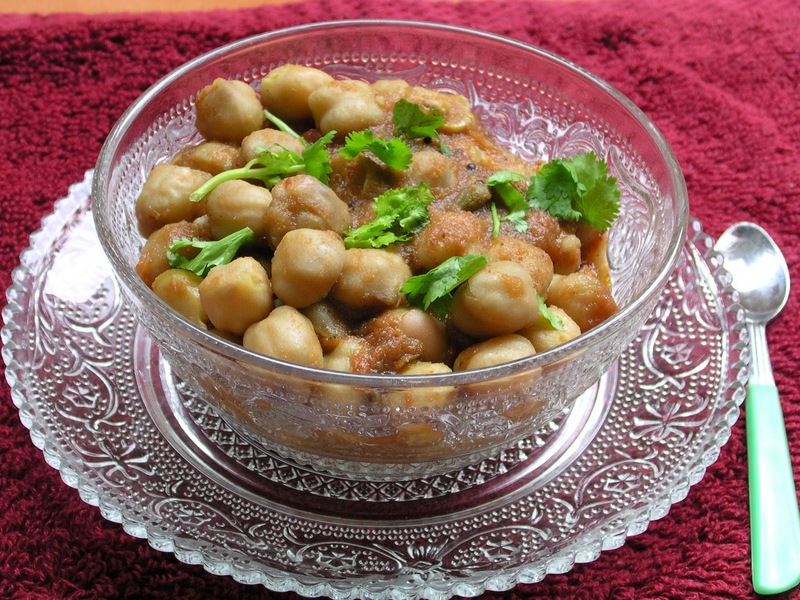 A delicious and flavorful dish with chickpeas! I love chick peas. Used to boil it as snack. Love how you cooked it here. Looks very delicious. What a great way to prepare chickpeas, I love all the flavors you have here. Wonderful version of it, Shirley! I'll try really, for surely will have a different taste from tamarind and others. I'd like to find here on the blog and I will definitely try other recipes.